The State has invested more than €15 million to the fund. 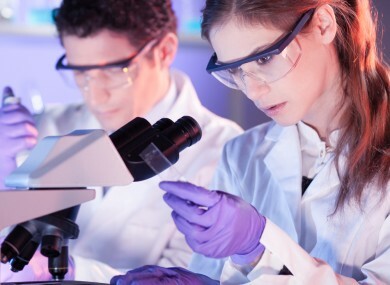 AN €85 MILLION FUND for emerging companies in the life sciences sector has been launched. It’s hoped that the fund will help create dozens of jobs in Ireland – it’s expected to make 10-15 investments in specialty pharmaceuticals, biotechnology, medical devices and diagnostics. The State has invested more than €15 million to the Fountain Healthcare Partners second fund – the majority of money came from institutional investors. Making the announcement the Minister for Jobs, Enterprise and Innovation, Richard Bruton said: “To support more innovative and internationally oriented start-ups that can go fast to market and scale, we must increase the availability of venture capital to facilitate company growth and job creation. This will increase the availability of funding for the innovative Irish life sciences companies we are trying to support – and help them grow faster and ultimately create the jobs we need right around the country. The fund is the first to be announced as part of the Enterprise Ireland Seed and Venture Capital Scheme 2013-2018. Email “New €85 million fund for life sciences to create jobs and investment”. Feedback on “New €85 million fund for life sciences to create jobs and investment”.